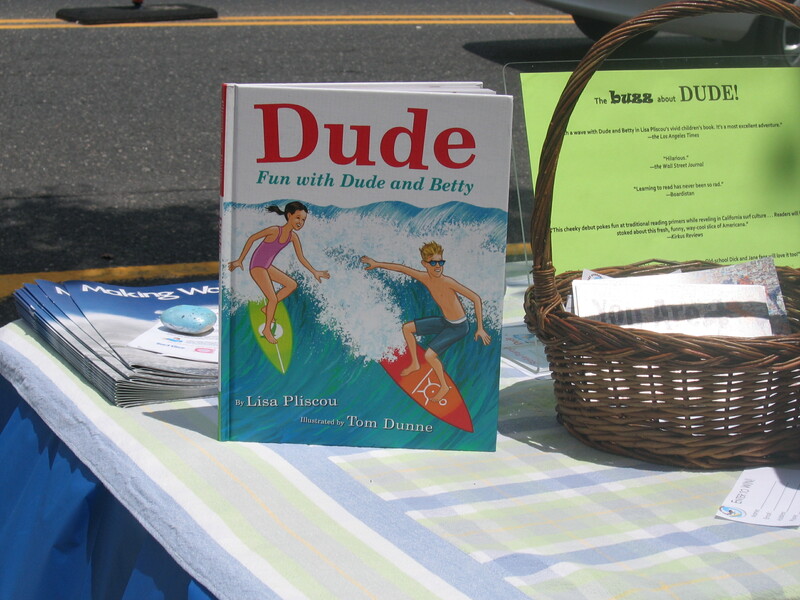 Surfing the Gnarly Wave of Book Promotion can be Most Excellent! I am happy to announce that my collection of short stories, SOMETHING’S LOST AND MUST BE FOUND is currently Top Rated #10 on Amazon in the Dog and Health Care Category. Thanks for all your support over the past few weeks! http://www.amazon.com/Somethings-Lost-Must-Found-ebook/dp/B0051ZMYG2 with 18 Five-Star reviews. To learn about National Dog Week, please see ABOUT. When I met Lisa in person for the first time, she was set up outside of BookTowne, a small, independently owned shop established by Rita Maggio four years ago. Lisa chatted comfortably with passerbys in a friendly manner, talking up her book, offering “Get Stoked” pins, cookies and a chance to win some nice raffle prizes; it was a well-organized event. 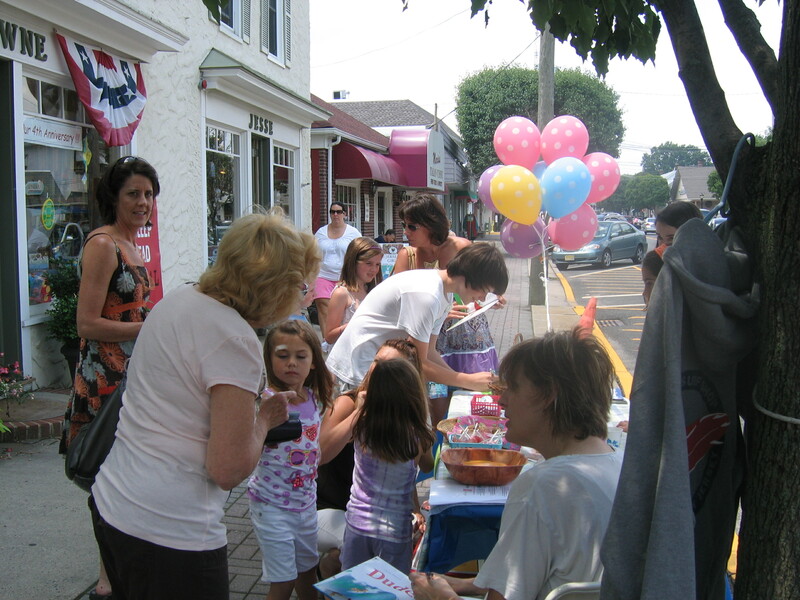 She confidently engaged with both adults and kids, signing several books on the spot! To one man who stopped by, I pointed out the great images by illustrator Thomas Dunne. When I opened the book to a page with a beautiful depiction of an Airedale terrier he exclaimed in an English accent, “Airedales are from my part of the world.” He went on to tell me about all the dogs he ever had. 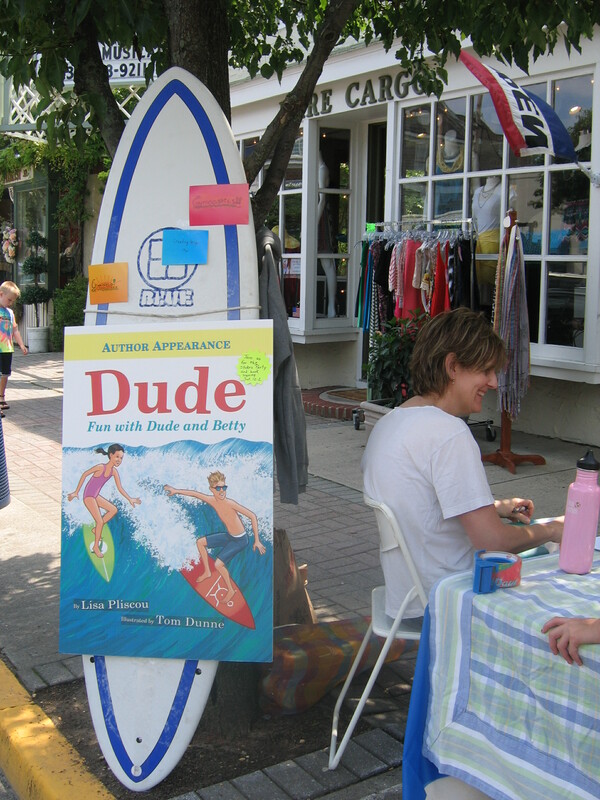 The surfing, burrito stealing dog of the story is named Bud, inspired by a pooch that belongs to Lisa’s neighbor. A good surf story should always feature a great dog. While on-site, I also had the opportunity to speak to Mary Beth Pelly, the Event Planner for BookTowne. She asked me about my writing and wanted to know if I would be willing to have an event there. “I certainly would,” I explained, however, as only having my book available in a Kindle version, I am limited in that regard, but that just may change in the coming weeks. As a writer and an artist, I know how difficult it can be to promote what we create with head and heart. But, if we aren’t out their sharing our creations, be it a painting or a book, no one will have a chance to enjoy it. Don’t “Harsh the mellow,” of these creative types. Pay attention as they present their gifts at arts events and book signings. They are the people you want to support, the “quiet” forces who ignite our spirit of imagination and possibility, it would be a “bummer” if we were to “bail” on these spirited individuals who work so hard to impart some “righteous” works of word and art into the world. I am so glad I took the time to go over and meet Lisa. It was great experience. I thanked Lisa for showing me how “it’s” done, said, “Later,” and got into my “cruisemobile” and made my way home. 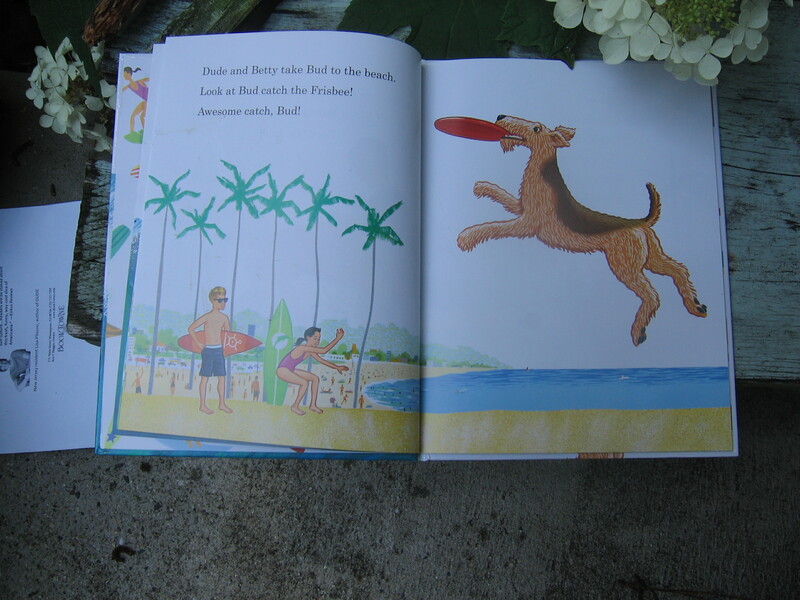 Classic Dog Book, Beautiful Joe, is still Relevant Today…. “I am because my little dog knows me.” Gertrude Stein Welcome to my Blog…To learn more, please see ABOUT. The other week, I set up a Facebook Page for the much maligned National Dog Week. I’ve been told that it is no longer relevant, dismissed as old-school. As a history and dog-lover, I see this as somewhat ignorant and sad. I was even told by someone that its existence interferes with her more contemporary “holiday,” for dogs. Excuse us. For the record, I offered to help with the promotion of this “modern event,” something most of the people I know have never heard of (it’s not too late, I do not hold grudges). If it’s for the dogs, there can be no competition; I believe we should help each other. National Dog Week was started and championed by two men who served as Captains in the United States Army. I think they would be truly disappointed to hear about this nonsense. At one time, National Dog Week was so popular that over 200 cities, including New York, went over the top to truly honor American dogs. The week had slogans and posters with themes like “A GOOD HOME FOR EVERY DOG…” and celebrity spokespersons. I thank those who have gone over and LIKED thIS page. 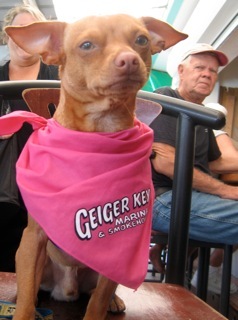 http://www.facebook.com/mobileprotection#!/pages/National-Dog-Week/218596591491974. 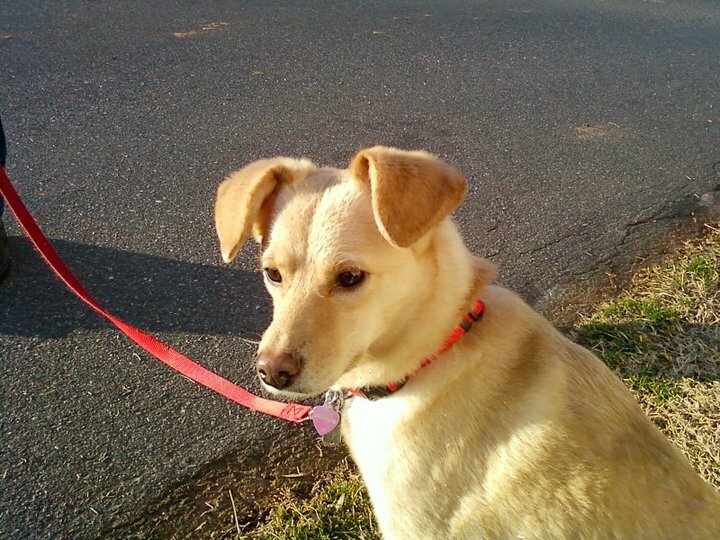 This week’s profile picture features, Jazz, rescue dog of animal advocate Willie Wonka. I have written a book about the evolution of National Dog Week, however, for a few reasons, I can’t discuss it here. You can go to my recent interview with Mashal Zeringue http://coffeecanine.blogspot.com/2011/06/lisa-begin-kruysman-hooper.html to learn about my newest writing project. Yesterday, I received an e-mail from an author about the recent sale of his book to a publisher. We happen to be represented by the same Literary Agent. I asked him about his writing “path.” It turns out that he is 84 years old and has had three agents. He started writing using an old Underwood typewriter and wrote every single day of the year, even if it was just one page a day. He actually has three other books written and ready to go. I congratulate him on his success and as he said to me, “Never give up.” I thank him for this uplifting story…It is never too late to achieve what you’ve set out to do. I just want to “paws” here to thank my most recent contributors for some very well-read and received posts about some very important matters. Thomas Cole and his talk about Shelter Revolution (6/1) and of course “Willie Wonka,” and his words on the significance of Spay and Neuter (6/8) and all those helping them with their efforts. We will revisit these topics from different angles over the next few months. I appreciate all your comments here, and for the hundreds of caring individuals who have shared this Blog’s Link on Facebook, it really does make a difference. Day after day we see people working so hard to find homes for adoptable pets but as Willie Wonka said recently, “We can not rescue our way out of this mess.” So please continue to share information and links that support low-cost S/N clinics and programs, especially in areas of the nation that need it most. I do hear from those who are discouraged by the sad state of affairs for many of our unhomed pets despite their best efforts or from those who have just about given up. I hope these posts encourage you to hang in there and fight the good fight, one small step at a time. In my own state of New Jersey, I’ve read about some positive changes in our displaced pet population. In a recent Letter-to-the-Editor of my local paper I found these comments made by Barbara Reichman encouraging. Barbara is the NAIA Shelter Project Coordinator in Washington Township. She states that in New Jersey “pets have benefited from more than 20 years of improvement.” She goes on to say that, “fewer pets are being abandoned, more lost pets are being reunited with their owners, far more are being adopted and less than half the number of dogs that used to be euthanized are meeting that fate today.” She also notes that this is significant as New Jersey continues to accept an “importation” of dogs into local shelters from other regions. While some will say that even one animal put to death is unacceptable, it shows that in some areas we are making some positive progress for the good of our animals. And I just want to take a moment to thank those who have purchased a download of my e-book in the Kindle Store on Amazon. At the very least, publishing my short story collection, Something’s Lost and Must be Found (see ABOUT for information) has been an incredible learning experience. I feel so positive when it gets a Five-star review and people tell me how it affects them on a personal level. I plan to add a seventh story soon, one that is just about finished. I really do hope you will take the time to read these stories, part of the proceeds will go to help some of the causes I write about here, but I can’t do that alone. Every download has the potential to enlighten, and entertain and of course, you will also be helping every dog (and cat) to have its day. Welcome to my blog, established to bring about an intelligent dialogue about the state of the dog in the states of the nation. Learn more…please READ ABOUT. http://www.facebook.com/mobileprotection#!/pages/National-Dog-Week/218596591491974 Please check out the new Facebook page for National Dog Week. Please note that the on-line auction organized by Project Pets – Spay, Neuter, Love is still in progress until June 15th. You can visit them on Facebook and join in the bidding that will help to improve the lives of many animals. http://www.facebook.com/pages/Help-Save-Alabama-SpayNeuter-Clinic/223800927638796?sk=wall Please visit this site and show your support for the animal advocates in Alabama who are fighting to keep low-cost s/n clinics from being shut down! Even back in 1928, the nation faced a problem with a large homeless pet population. Will Judy, at the time the publisher of Dog World Magazine, a breeder, and internationally renowned dog show judge, established his National Dog Week Movement not to bring more dogs into the world, but to encourage American dog owners (and those abroad) to be better caregivers to the ones that were already here. Now, nine decades later, have we done enough to embrace his mission? Here is the second part of my interview with animal advocate “Willie Wonka” discussing his goal to have more animals spayed and neutered as one way to reduce the number of homeless companion animals in the nation. Here he talks about the health and behavioral benefits of having these procedures preformed. Please see Post of June 1 for the first part of this ongoing series. Why don’t more people have their pets altered? When I discuss Spay/Neuter now, I am certainly talking about every homeless animal first, and then every pet that is in a home that is not being bred. Unless they (the owners) specifically need them intact, these animals should be spayed and neutered. It is healthier for the animals and there are no “accidents” – the 1000’s that happen every year. This needs to end – lazy and ignorant owners need to get responsible. We need everyone to cooperate, or they’ll keep dumping puppies on country roads, or at shelters. Either way, they die. What do you say to those who don’t think these procedures are important? Many are not aware of the health benefits of this procedure for their animals nor the harm that is done when their pets are allowed to have one litter. The death of 5-7 million animals a year in Public Shelters is not the only reason S/N is important. · Spaying your female dog before her first heat and neutering your male dog as close to six months as possible reduces tumors and some cancer possibilities by 200 times and will eliminate an infection of the uterus completely. In comparison, spaying a female before her second heat or waiting until a male is over a year old reduces the chances of tumors and cancer by twelve times. · Early spays prevent unplanned, unwanted pregnancies. If your puppy or kitten becomes pregnant (puppies can become pregnant at younger than 6 months of age and kittens can become pregnant at as young as 4 months of age), it can be potentially damaging to her health, since she is very young. A young puppy or kitten is in no way suited for motherhood. · If your male dog is neutered before he has learned to lift his leg and/or mount (at around 6 months of age), he most likely never will. Neutering a male while he is young also reduces the desire to “wander ” away from his home. Males tend to mellow out a bit. Thanks again to our dedicated contributor, Willie Wonka. Please watch for related posts about different organizations throughout the nation who are doing their part to help more pets receive procedures that will ultimately help them find homes and live healthier, longer lives. If you would like to learn about low-cost spay and neuter opportunities in your community, please let me know and I will try my best to help refer your inquiry to the right party. To read about my other writing projects please see ABOUT. Please go the National Dog Week page on Facebook, “LIKE” us and leave us a photo and or comment of and about your best four-legged friend! Be part of history in the ruff! When Captain Will Judy started National Dog Week back in 1928, he said that it wasn’t established to bring more dogs into the world, but to encourage people to be more responsible dog owners. Thanks to all for sharing the link for this post on Facebook. Please continue to do so. Earlier this month, I wrote a post about the Covers for Critters program organized by Willie Wonka and Brenda Yohman Frick. Today, I once again present the highly informed “WW” for an insightful look at the nation’s pet overpopulation problem and workable solutions. Willie Wonka goes under an alias preferring to work efficiently and quietly without drawing attention from the causes he supports. Here is Part One of the interview. In a related post the health and behavioral benefits of Spay and Neutering will be discussed. Please tell us a little about your name, Willie Wonka. Willie was my canine soul mate. WW crossed the bridge in Jan. of 2010. He is one of many rescues and shelter dogs I have had, and certainly the most special. I do all my work for the animals, in his name and to honor a great dog and best friend. What are the causes you currently support?” Project Pets – Spay, Neuter, Love, a non-profit organization started last October in North Carolina, sums up my efforts to facilitate shelter reform, reduce the homeless pet population, and make lives better for the homeless animals in our shelter system now. I am VP of ‘Project Pets -SNL” and we have partnered with some great organizations, like the Humane Alliance in Asheville, to make our efforts more efficient and affordable. In addition to the sponsoring of programs like “Spay & Neuter Gaston County”, we have also been able to work to help animals in bad situations “get fixed” making it easier for them to go to their new homes. “The Shelter Revolution ” on Facebook and www.ShelterRevolution.Org is also very dear to my heart. It is the solution to our failing shelter system. How and when did you become involved in these causes? I had been trying to rescue animals from shelters, and help others do the same, and then vet them, foster them and re-home them. Over time, I realized that we can only save a tiny percentage of these poor animals. There are better ways of reducing homeless companion animals. Spay + Neuter is a major part of every plan to stop this killing in County shelters. One other part of our thinking is to replace shelters with true Adoption Centers. These Adoption Centers would allow communal living and encourage the animals to be socialized and happy. They can wait for their new furever homes without living in little cages. No healthy animals needs to die. We already know that does not work. We’ve been killing millions of animals every year for over a hundred years and it has not worked. 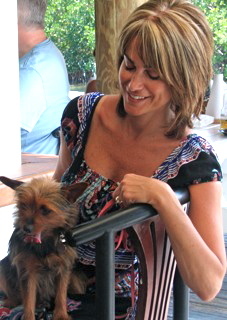 I support the Shelter Revolution , and the rehab programs that are shared on www.ShelterRevolution.org. Do you think pet overpopulation is worse in some areas of the nation? If so, what are the factors influencing this? I know the problem of homeless pets is worse in some area than others. I have lived in Texas and saw packs of wild dogs running free near El Paso and in the Southeast, where the animal welfare laws are not enforced, or do not exist. Alot more time and tax money is spent in the West and Northeast parts of the this county. There are also generally more active local populations supporting the various animal causes. We know that income is a big factor. Over 70 % of all pets in families with household incomes over $75,000 a year are fixed. Over 70% of pets in families under $35,000 are not. Income, education and availability are key variables. Tell us about a seminar you recently attended and what you learned there and how you hope to use this experience? The SNIP conference in Asheville was a real eye opener for me and for Jo Burchfield, the President of Project Pets. We spent 3 three full days in classes, taught by experts, with hundreds of other non profits and rescuers who need to learn more about Spay and Neuter. The ASPCA, PetSmart Charities and the Humane Alliance of Asheville all have a large presence. We learned a lot and it opened our eyes to the size of this problem. We are committed to doing what we can to change this terrible situation. Why is there so much divisiveness among animal advocates and rescuers? Simple, it’s old fashioned ego, Lisa. Everyone wants “credit.” Well, not everyone, but many. It is a stumbling block I see over and over again. I see that you have set up a Chip-In application on your Facebook page for a local shelter. How can Chip-Ins help, does it make a difference, no matter how small? Legitimate Chip Ins allow the money to go directly to where it is needed, in any amounts those people can afford. Many are contributions of $5 and $10, but they all add up. The problem is that some very evil people are using the animals to raise money for themselves. People should always be sure who they are donating to and how those dollars will be used. 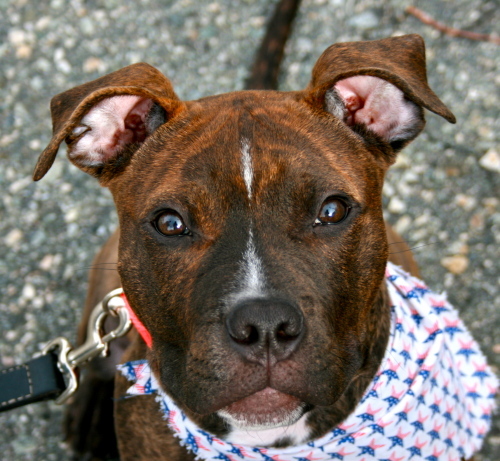 Do you think that your work can really help change the way homeless/shelter pets fare in this nation? Read the starfish story. I read it everyday. I make a difference to the ones that I can. I do know that I have made a difference already. I know I can do much more if I work smarter and harder. I am not calling WW an old man, but I know he definitely identifies with the one in this story…We need our rescuers who work so hard everyday trying to save endangered homeless animals. But wouldn’t it be nice to not have to work so hard and to see a better future?